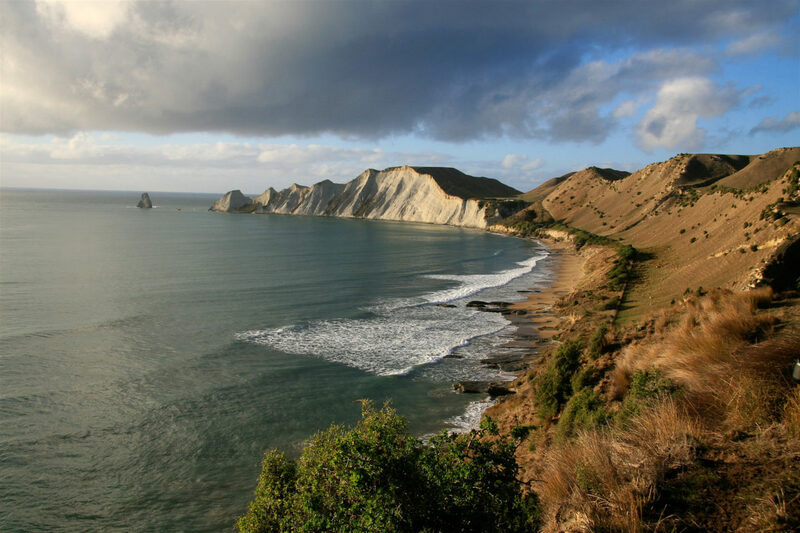 The Farm at Cape Kidnappers in Hawke’s Bay in New Zealand is a working farm set on 6,000 rolling acres of pasture land on the North Island’s dramatic east coast. Rolling hills, rugged cliffs and the Pacific Ocean serve as the divine backdrop for this high in-the-sky property. The 22 cottage-style suites are wrapped in warmth and luxury with rustic-chic interiors and large porches with thoughtfully placed resting chairs. Modern luxuries are at every turn, from oversized bathtubs and fully stocked mini bars to high-speed Wi-Fi and iPod docking stations. At the Spa, the Jet Lag Cure Eye Treatment and Massage is perfect for post-arrival pampering. 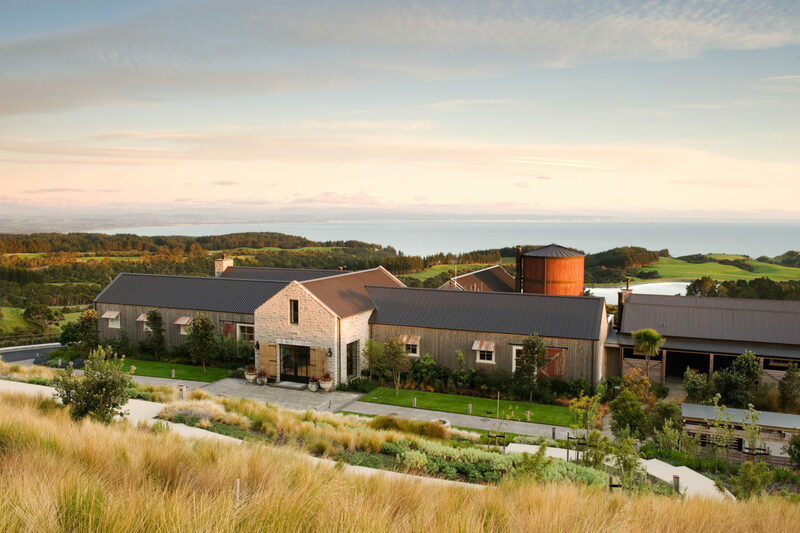 The rural New Zealand atmosphere at the Farm at Cape Kidnappers captures guests with Kiwi Discover Walks, hot-air ballooning, farm visits, wine tours, fly fishing, shepherding shows, clay-bird shooting, picnics at Black Reef and championship golf. 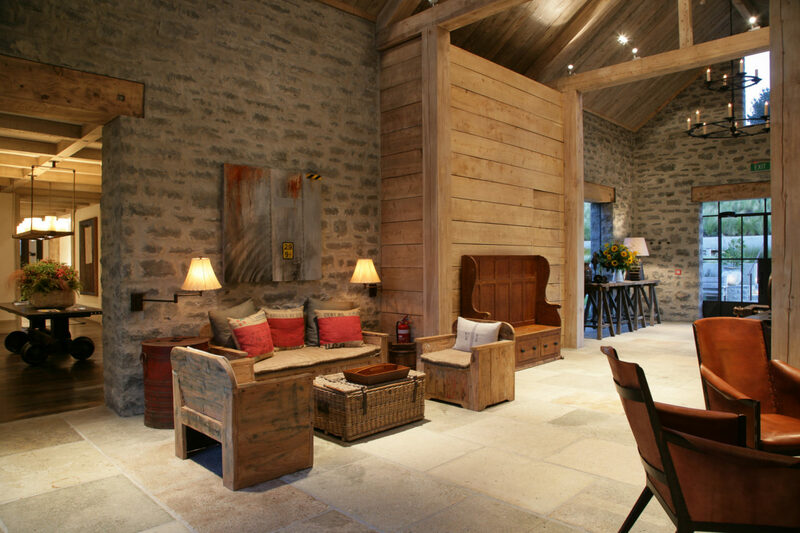 Situated on top of the hill above the Lodge, offering comfort and spectacular vistas. Two Hilltop Suites have the option to add an interconnecting second smaller bedroom. 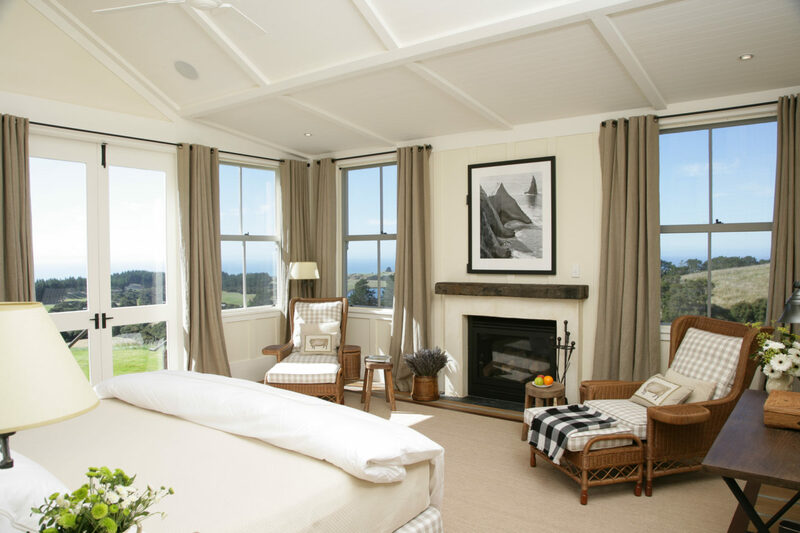 Situated atop the skyline ridge to the southwest of, and a short walk from the Lodge. Spacious, comfortable and private with fireplaces and full (wet) mini-bars. Our largest suites, located inside the Lodge building, offering the convenience of proximity to lodge facilities, full (wet) mini-bars. 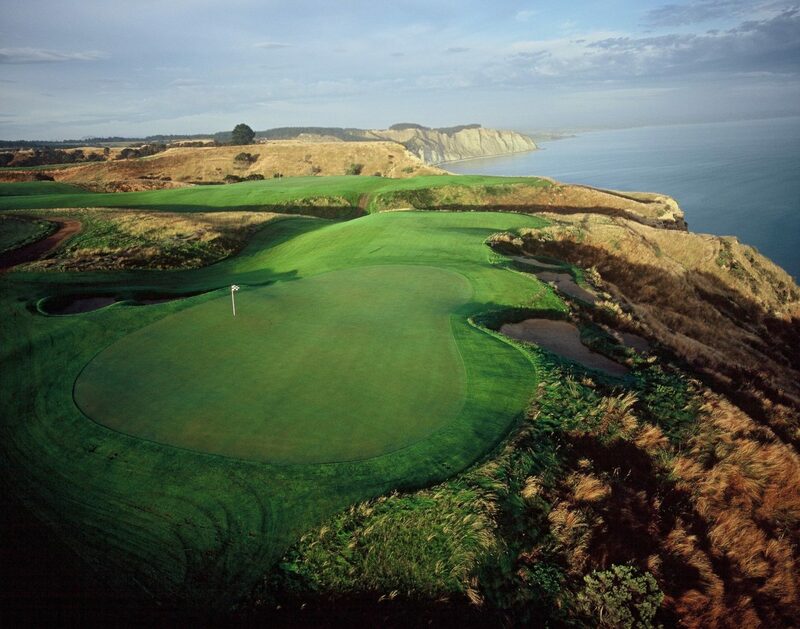 The Farm at Cape Kidnappers is located on the North Island’s east coast atop 6,000 rolling acres of pasture land.